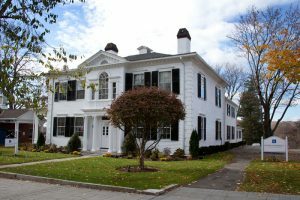 Cramer & Anderson has opened a new office in Ridgefield, adding a sixth location for the largest regional law firm in western Connecticut. With its hometown sensibility, increasingly strong regional presence, and worldly outlook, the firm provides sophisticated legal services to clients from across the state in nearly 20 Practice Areas. Partner Joshua Weinshank guided the firm’s initiative to open the new office, located at 38C Grove Street, to better serve a growing roster of clients from Fairfield County. Joining Attorney Weinshank in the Ridgefield office two days a week will be Senior Partner Ken Taylor, who primarily handles Divorce & Family Law cases, specializing in the collaborative divorce model, as well as Real Estate Law and general litigation, including Personal Injury Law and Workers’ Compensation. “I am very excited to be introducing Cramer & Anderson’s high level of legal and client services to the local residents and businesses in the community where I live,” Attorney Weinshank said. “Josh Weinshank is widely respected in the Estate Planning, Probate and Trust Administration fields, and he’s well qualified to represent our clients in Ridgefield and surrounding towns,” said Partner John D. Tower. Attorney Weinshank’s Practice Areas also include Elder Law. Known for his high level of community service, Attorney Weinshank was recently named to the Finance Committee of the Ridgefield Visiting Nurse Association (RVNA), and to the Board of The Ridgefield Playhouse. 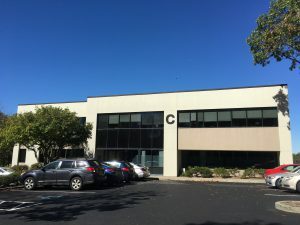 The building in Ridgefield that’s home to Cramer & Anderson’s newest office. Earlier this year, Attorney Weinshank joined the Associate Board of the Danbury Hospital & New Milford Hospital Foundation. Directors work with Foundation staff to foster charitable giving in support of the mission of the hospitals and their parent entity, Western Connecticut Health Network. 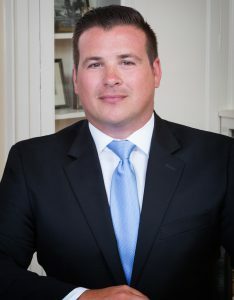 In 2016 Attorney Weinshank was appointed to the new Planned Giving Advisory Council formed by Ability Beyond, the Connecticut organization helping “thousands of people with physical and mental disabilities discover their abilities and become a part of their communities.” Based on his leadership, Attorney Weinshank was then appointed Co-Chair of the committee. Attorney Weinshank was also recently named a 2017 New Leader in the Law in the Connecticut Law Tribune’s annual statewide Professional Excellence Awards. In nominating Attorney Weinshank for the honor, Attorney Taylor said he represents “the epitome of a New Leader in the Law” by engaging in “high-caliber volunteer community service” as a way of giving back, while also laying the groundwork for cultivating new clients and driving growth and success for the firm.